We offer cleaners, steramine tablets, disinfectants, and detergents designed specifically for ware washing, floor washing, and cleaning pieces of equipment to keep them running in top condition. You can also disinfect your dish room sinks, keep your glassware sparkling, and sanitize food contact surfaces with our ready-to-use chemical portion packs. Some of our bathroom cleaner tabs are even designed to sit in your toilet bowls, so your bowl gets cleaned with every flush. Also make sure to check out other great items from Noble Chemical, 2000 Flushes, 3M, Continental, Mr. Muscle, UNIC and Urnex. Use ready-to-use chemical portion packs and tabs to reduce preparation time before cleaning your business. These tabs come premeasured, so any member of your staff can use them quickly without worrying about proper concentration amounts. Whether you're cleaning bathrooms or disinfecting tabletops, we have the variety of concentrated cleaners to suit your needs. Because we offer ready-to-use portion packs in bulk quantities, you can always keep essential cleaners in stock without needing to reorder as frequently. 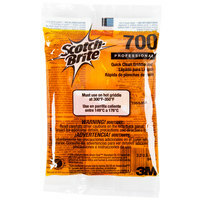 Check out our buckets, spray bottles, and bar towels for more cleaning essentials. If you're wondering where to buy 3m ready-to-use chemical portion packs & tabs, we have a large selection of 3m ready-to-use chemical portion packs & tabs for sale at the lowest prices.